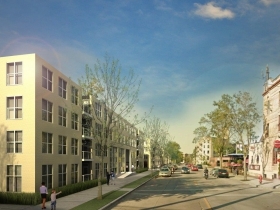 Atlantic Realty Partners and its design team will discuss the proposed redevelopment of the former Gallun Tannery site. 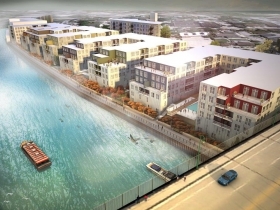 Milwaukee Alderman Nik Kovac (3rd Aldermanic District) will host a neighborhood meeting tonight at which developer Atlantic Realty Partners and its design team will discuss the proposed redevelopment of the former Gallun Tannery site at 1775 Water Street. The meeting, to be held at the Hamilton Private Event Facility, will give neighbors the chance to view the development plans and ask questions. James Shields, principal with HGA Architects, will present plans and renderings of the proposed project. Shields has been working on a preliminary design for the project since last Summer and has previously made presentations to smaller business groups and other constituents. He will be joined by Richard Aaronson, president of Atlantic Realty Partners, whose firm acquired the project site about 6 months ago from the Gallun family. 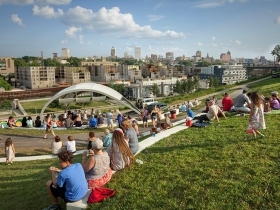 The project plan is consistent with long term planning established by the City of Milwaukee, but since the site is still zoned for industrial uses, it will require a zoning change to allow for the development of four 4-story buildings with up to 450 residential units. Each building is the shape of a “U” that faces the river and affords views of the river to most residents. All parking will be contained in 2-level parking garages below Water Street. The project includes expansion of the Riverwalk with accessible public access at three locations from Water Street to the riverfront. Preliminarily named River House, the development will be built in 2 phases over approximately 4 to 5 years. The first phase containing about 240 units will start this year. Atlantic Realty Partners is an Atlanta-based development company that builds high-end residential developments in the Southeast and Midwest including the metropolitan markets of Atlanta, Miami, Jacksonville, Chicago, and Milwaukee.